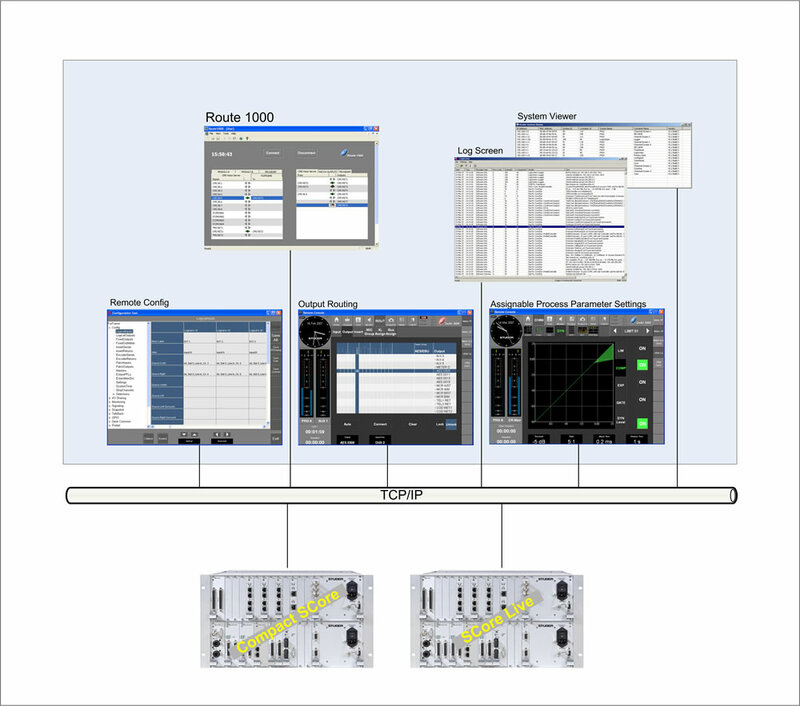 The Studer Route 1000 software extends Studer’s Route 6000 and SCore DSP platforms with a control application that is very simple to use, and which provides an easy and low-cost alternative to the more sophisticated control systems which require steep learning curves. 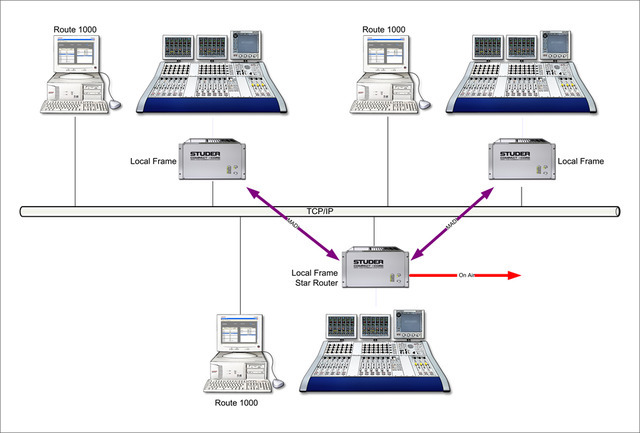 The Route 1000 application software runs on standard PCs and IT infrastructure and controls both the Route 6000 router and Studer OnAir 3000 mixing desk I/O systems, and is ideal for the operation of small to medium routing systems. The Route 1000 is a ‘ready to use’ system. There’s no need for extensive training, so users will be able to operate the system quickly and easily. With the latest Studer Route 6000 & SCore Live DSP platforms offering up to 1728x1728 I/O capacities, very large scale routing systems can be deployed and controlled using Route 1000. Any input can be connected to any output which is part of the system. Whether you have just a single Studer router or several On Air 3000 mixing desks, you have instant control over all input and output patches. 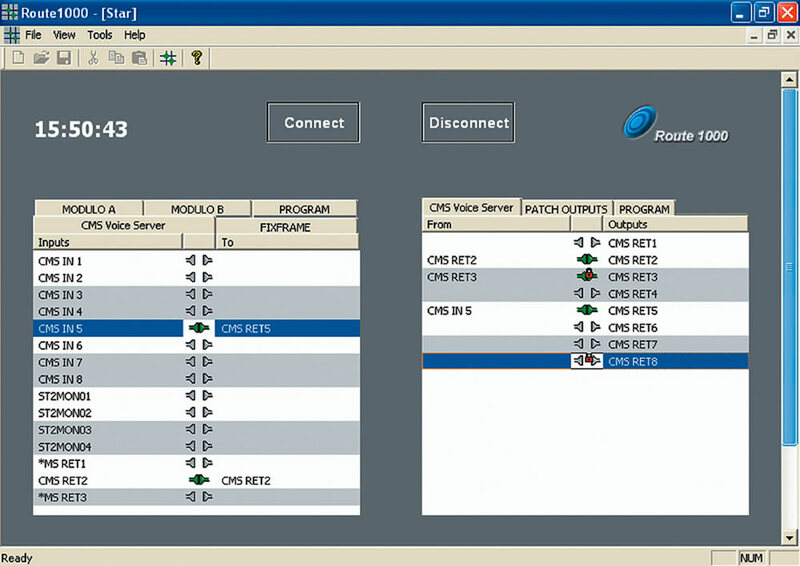 It is also possible to run several Route 1000 applications in parallel.